Apple doesn’t really give you much of a choice when it comes to ringtones. If you are tired of the default ringtones on your iPhone and you prefer to have a song of your choice as your ringtone, then continue reading this article to learn how to transfer ringtones from computer to iPhone X/8 on iOS 12/11. iMyFone TunesMate iPhone Transfer is very useful and essential when it comes to complete and total management of your Apple devices. You can easily sync and transfer files from your iPhone to your computer and vice versa. Seamlessly transfer files of all kind without having to go through iTunes, backup your files and data and even more importantly, it works and functions better than iTunes. Therefore, it's highly spoken by lots of media, such as getintopc.com, tricksworldzz.com, crunchytricks.com, etc. Easily and seamlessly transfer files from your iOS 12 iPhone to your computer and vice versa. Easily extract files from your iPhone to an external hard drive, computer, media player or iTunes. Bypass iTunes and transfer files straight from your computer to your iPhone. Supports all kinds of files and contents downloaded from the internet, amazon store or google play store. Transfer all and virtually any kind of media file including ringtones, music, pictures, videos, podcast, audiobooks, TV shows, iTunes U and much more! Step 1: Connect your device to your computer using your USB cable and launch the iMyFone TunesMate software on your computer. Step 2: Select “Music” from the top of the menu and then Ringtones. And then choose “Add” and then “Add File” or “Add Folder”. Step 3: Find the storage location of the music on your computer and select the ringtone you would like to transfer and click “Open” to begin the transfer. 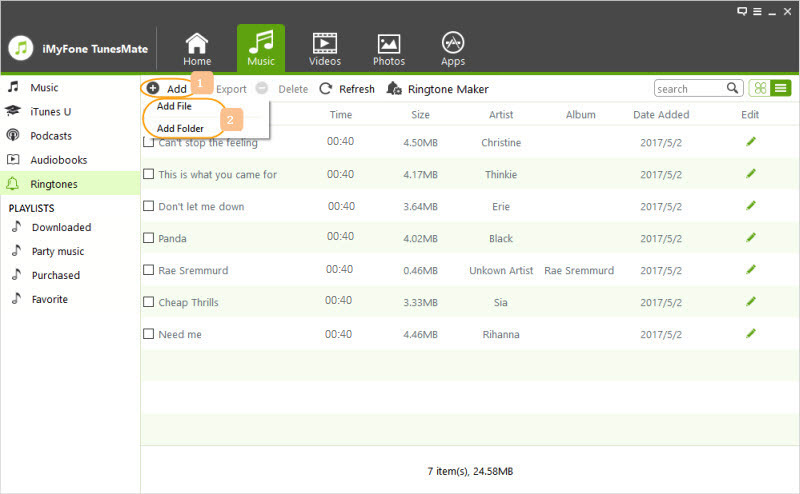 You can customize the ringtone from any song in any format, like MP3, M4R, WMA, M4A, OGG, AAC, and more. You can make the ringtone and save it directly to your iPhone at one place, which really saves your time. Step 1: Ensure you are running the latest iTunes version, then connect your phone to your computer using your USB cable. Step 2: Open iTunes and choose “File” from the menu at the top left. Step 3: Select “Add File to Library” to select music one at a time, or “Add Folder to Library” to instantly add a whole folder of songs to your iTunes. Step 4: After that, click on the iPhone icon and then open the “Music” tab and check the “Sync Music” box. Step 5: Next, tick the box in line with “Entire Music Library” if you wish to sync all the tracks in your iTunes Library or “Selected Playlists, Album, Genres, Artist” if you want to select songs from the list. Step 6: Select the “Apply” button and wait for the process to finish. It would replace the original copy of the music file on your device. Not all formats are supported by iTunes. You can only transfer music from one computer to your iPhone. Or you risk erasing your phone. 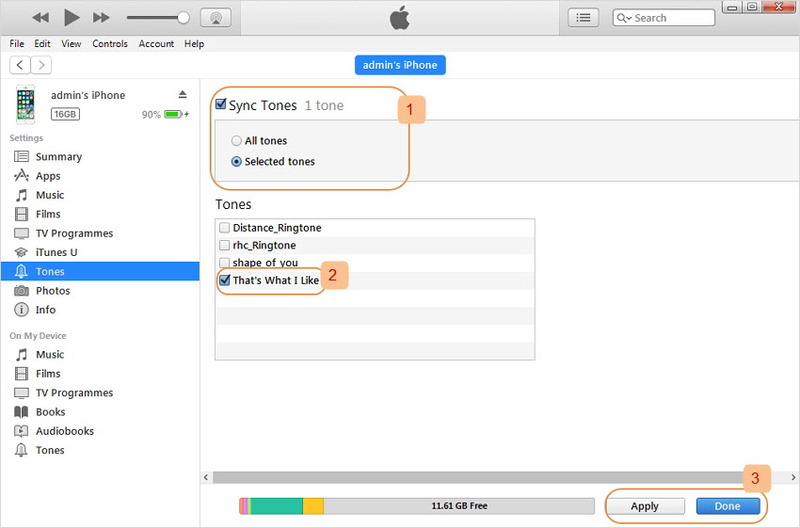 If you need ringtones for your iPhone, and you are worried about iTunes, then worry no more. Because there are other ways you can download ringtones for your iPhone X/8 without iTunes. iPhone Ringtones: This site has tons of ringtones for free download for your iPhone. Zedge: Go to Zedge if you need unique and user-created ringtones uploaded by users all over the globe. 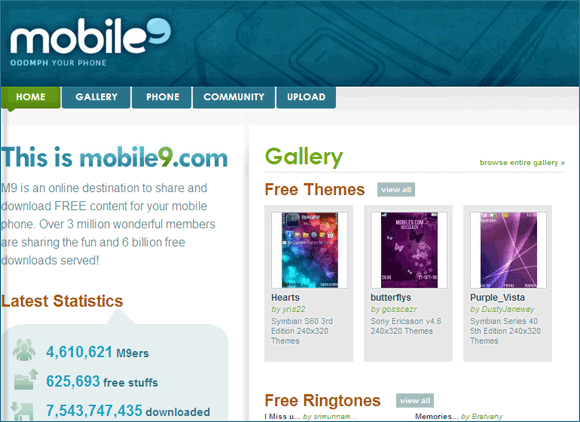 Mobile9: Mobile9 is a site with a large database of iPhone ringtones, wallpapers, videos and more that are free to download. In this article, detailed steps about two efficient ways to transfer ringtone from your computer to iPhone X/8 on iOS 12 were explained in full, in addition to how to download ringtones for iPhone X/8. You can now enjoy to download and transfer different ringtones to your new iPhone X/8.